Growing dill in pots is fairly easy, and having this fresh, flavorful herb in your kitchen can really open up some culinary possibilities! This annual, self feeding plant attracts beneficial insects such as butterflies, so it’s a great herb to have! 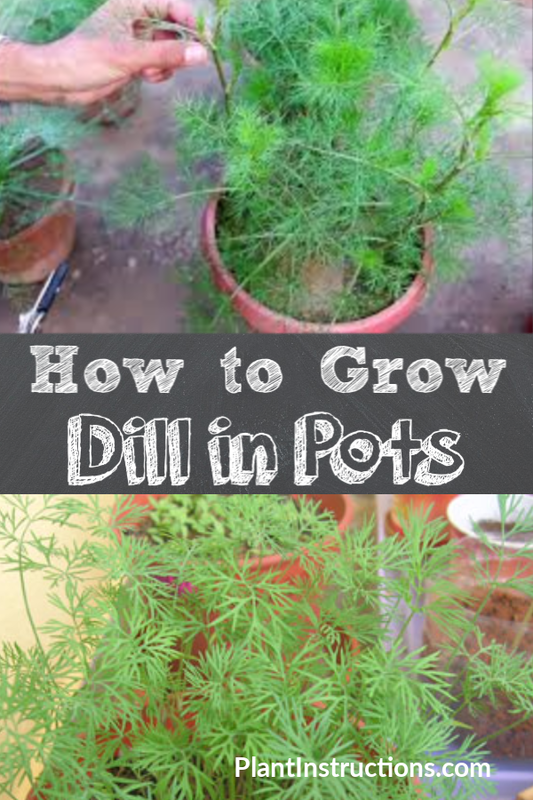 Learn how to grow dill in pots, care for it, and have a continuous dill harvest! 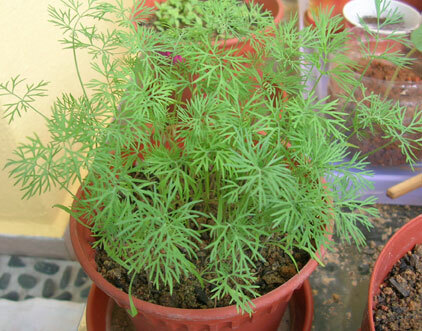 The most important thing to keep in mind when growing dill in pots, is to have deep pots as dillweed has long taproots. Be sure to have a pot or container that’s about 1 or 2 feet in depth. Sow dill seeds directly into pots or containers. Be sure that your pot has good drainage holes. Fill the pot with soilless potting mix. Dill herbs will grow in almost any type of soil, but they do prefer well drained and slightly acidic soil. Simply sprinkle the seeds directly on top of the soil and cover with a light layer of soil. Place the potted plant in an area where it will receive 6-8 hours of sunlight per day. Only move the potted plant outdoors once all danger of frost has passed. Until then, keep the plant indoors in front of a south facing window. Dill doesn’t require much care. Be sure it gets an adequate amount of sun. Keep the soil moist by misting often. Thin dill to one or two plants per pot once they are a few inches in height. So now that you know how to grow dill in pots, it’s time to roll up your sleeves and get to planting! How to Grow Dill in Pots was last modified: February 8th, 2019 by Aniela M.